The price comparison page at the Gas Furnace Guide is here to provide visibility to both wholesale and installed prices of various brands of gas furnaces and in some cases, a complete hvac system with furnace and ac or heat pump. 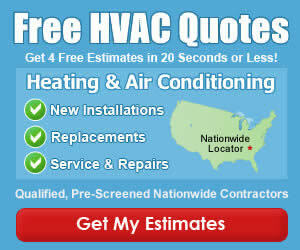 This page is updated throughout the year with the latest gas furnace prices for 2013-2015. We have several ways to compare the costs listed on this page, starting with a furnace efficiency rating comparison, as it relates to the cost. Second, we compare gas furnace prices by providing a list of leading brands, in basic alphabetical order. If you were recently quoted a natural gas furnace price or had a new gas furnace installed in your home, please consider letting us include your info online, in the furnace cost comparison list below! Based on the information we have received and compiled from visitor submissions, the following are average furnace prices for the home. We have excluded systems with ac or heat pumps in this section, to eliminate the wide variables. These are only estimates based on user submitted information, and information we have accumulated from manufacturers and other HVAC professionals. To get exact brand or specific unit prices, go to the furnace brands page, locate the specific brand you wish to view, and review the pricing on that page. We get many questions about what is included in the installation of a furnace. Visit our Replacement Installation Cost Guide to learn more. ** Prices shown are rounded to make listing easier. The gas furnace price list below shows the average price of a new furnace installed, broken down by the different brands as they were submitted by visitors like yourself. To view all the furnace prices for a single brand, click on the manufacturer name in the table below, or view all of the best furnace brands we maintain in our database. As previously mentioned, this page of our Gas Furnace Guide website is a living document and the page changes often throughout each month. If you would like to tell us what you paid for your furnace or complete HVAC system, please go to the user submit form, and send it in. Your personal information is kept anonymous, and we use the price data in aggregate form only.